The 2019 Camp is scheduled for October 10-13, 2019. The registration process is expected to begin in early June. As in past years, previous attendees will receive an email notification when registration opens. If you have not attended the Camp previously and would like to be included in the notification email list, please contact Lorri Rages (314-952-8562 or rages4@gmail.com). When: October 11 - 14, 2018, Thursday evening through Sunday lunch. Fellowship. Saints will have abundant, relaxed opportunities to meet one another and share in the things of Christ. We look forward to renewing old friendships, beginning new ones, and strengthening bonds between Gospel-centered churches. Worship. We'll have the joy of praising our glorious Lord with a diverse mix of fellow believers, experiencing, we hope, a sweet taste of "heaven on earth". Preaching. We'll be encouraged and challenged by sound Biblical teaching from a variety of gifted speakers. Refreshment. All who attend should enjoy a pleasant vacation experience in a beautiful natural setting. The campground is located on 750 partially-wooded acres in the foothills of the Ozarks. 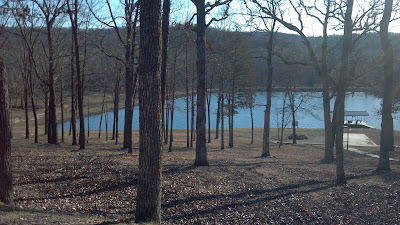 The land slopes down toward the Gasconade River, which runs along the property's east border. 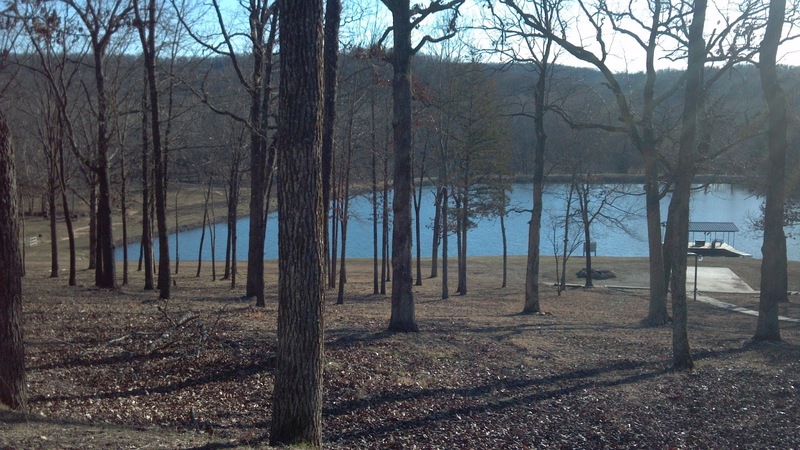 Also on the property are a working 40-head horse farm, houses for the Camp's full-time staff, and a five-acre lake for boating and (catch-and-release) fishing. The primary Camp buildings include the office / dining room building, the meeting chapel, a large gymnasium, and three lodging buildings (Oak Lodge, Cedar Lodge and the Bunkhouse). The facility's meeting chapel, dining room and sleeping rooms have been designed for a maximum capacity of 300 people. The registration desk is located in the lobby area of the office / dining room building and will be staffed by RGC people throughout the Camp weekend. The chapel has carpet, heating, A/C, sound system, restrooms, and a baby cry-room / nursery area at the back. The dining room has heating, A/C, a modern commercial kitchen, and seating for 300. All the lodging rooms have heat but no A/C (which hopefully won't be a problem in October). The Turkey Hill Camp does not allow pets, firearms, fireworks, drugs, alcohol, smoking or dancing on the property. We will need to comply with their rules. Because we desire that no one be excluded from the Camp for financial reasons, there is no cost (other than transportation) to attend the Camp if someone stays in dormitory rooms, tents, or RVs. The only charge is for reserving one of thirty motel-style rooms or one of eight private bunk rooms. These private rooms may be reserved for a fee of $120, which covers the three nights of the Camp. We will provide a donation box (located in the dining room) for those wishing to contribute to Camp costs. Motel-style rooms at the Oak Lodge building. Thirty motel-style rooms with both a double bed and a set of bunkbeds (so there's room for four persons on beds), and a private bathroom. 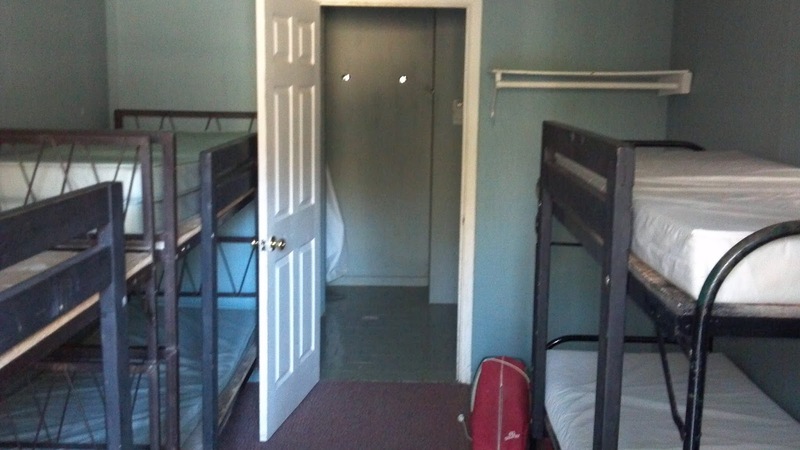 These rooms may be reserved for the three nights of the Camp for a total fee of $120. Private bunk rooms at the Cedar Lodge building. Eight private bunk rooms, each with its own bathroom. These would be ideal for a family of up to six people. These rooms may be reserved for the three nights for a total fee of $120. 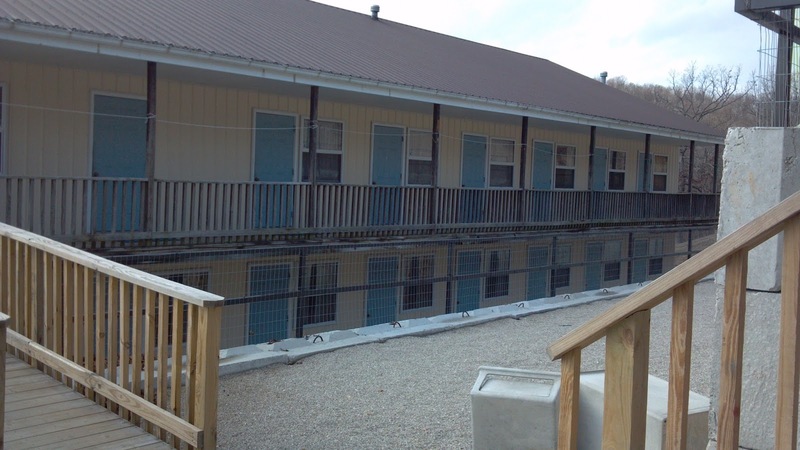 Dormitory rooms at the Cedar Lodge and Bunkhouse buildings. Each dormitory room has either five or six sets of bunkbeds and its own bathroom. Each room will be designated as either male or female, with attendees assigned to rooms accordingly. Attendees may stay in the dormitory rooms at no cost. RV and tent sites. There are eight full-hookup RV sites (three with 50 amp electric service and five with 30 amp). There are also abundant grassy areas for pitching tents. The RV and tent area has its own bathhouse. Attendees may stay in the RV and tent area at no cost. Offsite lodging. Some attendees may opt to stay overnight at an area motel or "commute" to the Camp from their nearby home. All meals will be served at no cost. We cannot accommodate special dietary requirements, nor can we provide ingredient lists for the food served. There will be a salad bar available at every lunch and dinner meal. We cannot provide space in kitchen refrigerators for attendees' food items. We are happy, however, to provide ice refills for attendees' own coolers. The Camp cannot function without the diligent efforts of many food service volunteers. We need Camp attendees, including men, women, and teens as young as fourteen (or twelve if accompanied by a parent), to help again this year. There are important tasks for even those least skilled in kitchen work. The main qualifications are commitment, cheerfulness, and an eagerness to serve the saints. If you are interested in committing to serve in the Camp kitchen this year, please indicate this when registering for the Camp. Food service managers will communicate later with volunteers about the specific positions that need to be filled. They start work Thursday at 1:00pm and at 8:00am Friday - Sunday and serve until the end of supper in a variety of kitchen and meal preparation tasks. They will need to miss the morning worship meetings but can attend the evening meetings. Requires a total of 8 volunteers. They start work at 6:00am each day and serve until the end of breakfast, doing breakfast food preparation and replenishing the breakfast line. They then return to work at the end of the supper meal to help with kitchen clean-up and prepare for the following day's breakfast. They may need to miss all or part of the evening worship meetings but can attend the morning worship meetings. Requires a total of 4 volunteers. They start work 30 minutes before lunch and supper meals, putting food portions onto diners' trays, and continue working until the meal has ended and the dining room is cleaned-up. Positions are available for all three lunches or all three suppers or both. They can attend all worship meetings. Requires 8 volunteers for each meal, so a total of 16 (unless some work both meals). They start work mid-meal and continue working until all dishes are washed. Each 4-person team will handle one meal each day of the Camp (i.e. one team does all breakfasts, another team does all lunches, etc.). They may miss all or part of morning or evening meetings, depending on which meals they handle and how quickly work is completed. Requires 4 people x 3 meals, so a total of 12 volunteers. EVERYONE attending the Camp, regardless of lodging choice, MUST REGISTER IN ADVANCE through the Eventbrite website by using the form below. You may only register for yourself and your family. Just choose a "Quantity" and click the green "Register" button to finish your registration. You will receive a confirmation email when your registration has been successfully completed. Registration is open now and will close when the campground capacity of 300 people has been reached. No refunds will be given for cancellations after September 30. If your desired lodging option is sold-out, please contact Lorri Rages (314-952-8562 or rages4@gmail.com) to be placed on the waiting list. When a space becomes available for you, usually due to someone else's cancellation, Lorri will contact you, and you will have a brief time in which to claim your spot. Be of good courage! In prior years, most of those on the waiting list did eventually have the opportunity to attend the Camp. Bed linens. All rooms, including the motel-style ones, have bare mattresses. Personal toiletries (including hand soap). Box fan (if weather is warm). Comfortable clothing that will enable you to enjoy the outdoors in a variety of weather conditions. Temperatures for this weekend in mid-Missouri average 70 degree highs and 45 degree lows. 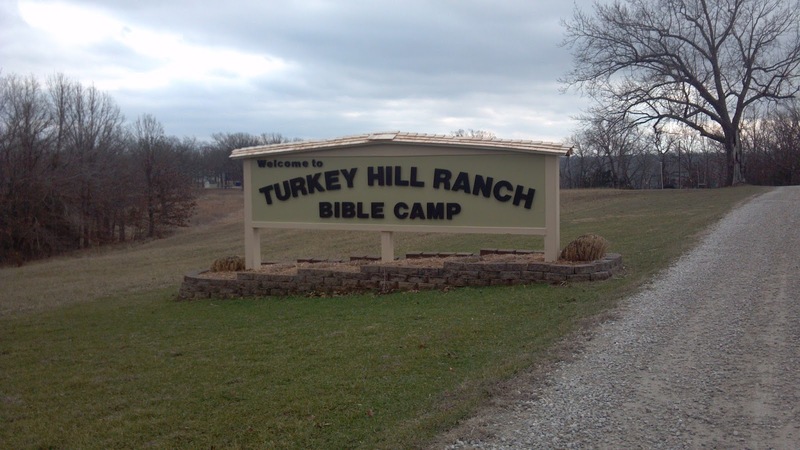 Turkey Hill Ranch Bible Camp is about 40 minutes south of Jefferson City, MO and 50 minutes north of Rolla, MO. All attendees, except those traveling by helicopter, will arrive via Hwy. 63. Just south of the little town of Freeburg, turn east onto county Route 637. (There's a business with lots of old ice machines next to the turn-off.) From there, just patiently follow the Turkey Hill signs along the gravel county roads about four miles to the campground entrance. When you enter the campground, please stop first at the Office / Registration Desk / Lobby area to check-in. You will be given your room assignment and various instructions. Everyone, even those staying in tents or RVs must check-in at the Registration Desk. After check-in, please park your vehicle near your lodging building. 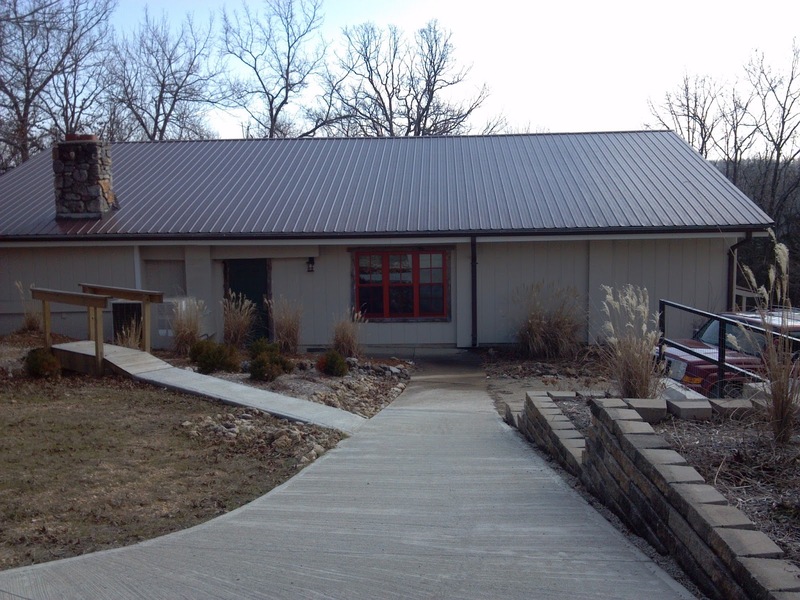 The Camp's address is 13781 Maries Road 301, Vienna, MO 65582. In the gymnasium: basketball, volleyball, gaga ball, racquetball, ping-pong, foosball, etc. Large open grass field for softball, ultimate frisbee, frisbee golf, soccer, etc. 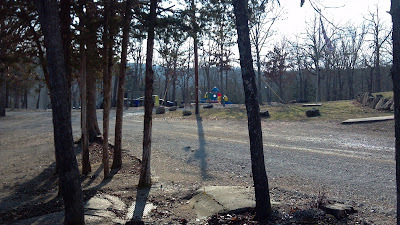 The campground should be clean and ready to use when we arrive on Thursday. All attendees are responsible to clean their own lodging rooms at the end of the Camp. Instructions and cleaning supplies will be provided by Turkey Hill. Turkey Hill will charge you a cleaning fee of $100 for any room left dirty. How "rustic" is the campground? The Camp facilities are designed to be reasonably comfortable for attendees of all ages. There is heat, A/C (in the chapel and office / dining building), indoor plumbing, flush toilets, and electric appliances throughout the facility. Concrete walkways connect the dining room, chapel, and Oak Lodge buildings. Steep inclines may be difficult for those with mobility issues. Mattresses, however, will likely be smaller and less comfortable than those we're accustomed to at home. What about wi-fi and cell phone service at the campground? Do not expect these services to be available. 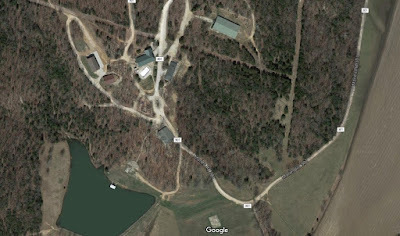 The Turkey Hill Camp's landline (573-744-5843) can be used to relay urgent messages to attendees. Cell service is probably available a few miles from the campground along Hwy. 63. Let's enjoy this opportunity to take a brief break from our electronic connections as we seek the Lord and fellowship with His people. How far is the campground from retail stores and medical facilities? Freeburg, MO, about four miles from the Camp, has a gas station with a decent-sized convenience store. The nearest town with grocery and discount stores is Vienna, which is about 20 minutes south from the Camp. The nearest hospital is in Jefferson City, about 40 minutes to the north. The Turkey Hill director mentioned that ambulance service, in the event of an emergency, is prompt. Could I reserve a private room for just one or two nights? 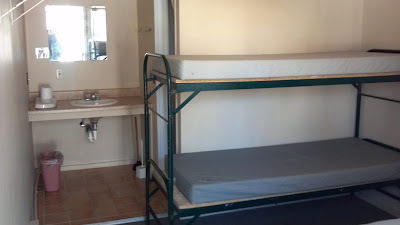 The reservation fee for the motel-style and private bunk rooms entitles an attendee to use the room for the entire duration of the Camp. It's fine to use the room for less than three nights, but the fee will be the same in all cases. Are there good motels available near to the Camp? The small Scenic 63 Motel in Vienna, MO is about 25 minutes from the Camp. 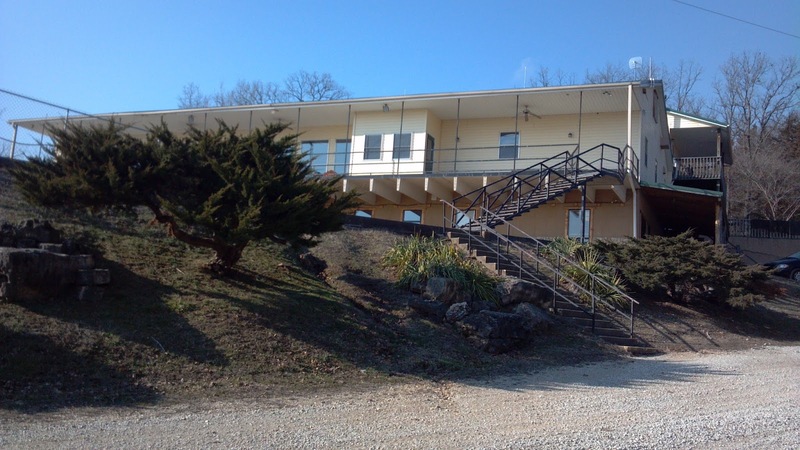 There are a variety of motels available in Jefferson City (40 minutes to the north) and Rolla (50 minutes to the south). Who will the speakers be? Speakers will be selected from those who attend the Camp, so encourage gifted preachers to attend. Let's pray for the Lord to graciously help all the speakers in ministering His Word and (equally important!) give us "ears to hear" from Him. Could I help by doing some work at the Camp? Yes! See the Food Service Opportunities section above. There will also be opportunities to help with final campground clean-up on Sunday. Could I bring some food to contribute to the meals? To simplify food service management, all meals will be freshly prepared in the Camp kitchen. We will not be preparing food items in advance, and we will not generally be accepting food contributions from attendees. Will there be swimming at the campground? The Camp's swimming pool closes September 1, so there will be no swimming during our time there. Swimming in the lake and river is also not permitted. The Turkey Hill Camp does not allow pets, so leave Fluffy and Fido at home. What else should not be brought to the Camp? Turkey Hill Camp does not allow pets, firearms, fireworks, drugs, alcohol, smoking or dancing on their property. We will need to comply with their rules. See the registration desk in the lobby area to turn-in or claim items lost during the Camp. Who do I contact with questions or registration changes? Contact Lorri Rages at 314-952-8562 (voice / text) or rages4@gmail.com .